This list was so hard. It’s rare for me to truly dislike a book – I’m either really lucky in my picks or just do a great job of avoiding ones I don’t think will do it for me. And when I do hate books, it’s usually because there’s not a single likable character to be found or I don’t remember any of the characters. For this theme, I’m going to choose characters I appreciated in books that weren’t favorites of mine – which only means, if a book is on this list, it’s not one of the few books on my favorites shelf. There are a good handful in here I actively disliked … and some characters whose names I honestly can’t remember … but for the most part, plenty of these were decent reads with characters that stood out to me for one reason or another. At first the girls think they have nothing in common, until they discover that they all hate the same person: handsome womanizer Nolan Hotchkiss, who’s done things to hurt each of them. They come up with the perfect plan to murder Nolan—jokingly, of course. They’d never actually go through with it. But when Nolan turns up dead in the exact way they’d discussed, the girls suddenly become prime suspects in his murder. Only, they didn’t do it. Carson. 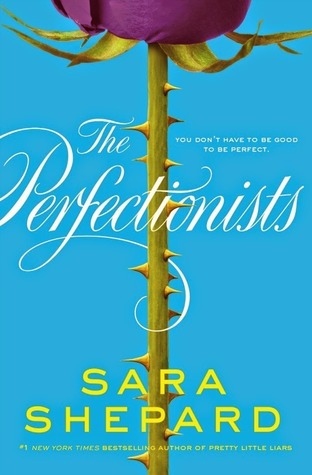 Sara Shepard’s The Perfectionists was a quick, guilty pleasure read for me, but I didn’t much care for the duology overall. I do remember feeling bad for poor Carson (I’m honestly relying on a comment on a Wiki page that that’s his name) and respecting how supportive he was of Julie even when the school turned against her and she grew increasingly flighty with him. Layla. This book had so much promise for me but ended up falling flat – largely because it was impossible for me to like any of the main characters. I instead latched onto Layla, Kelly’s daughter who flits in and out of the story, feeling bad that she had been thrust into this reality TV world because of her mom’s and aunt’s ambitions. Abby. 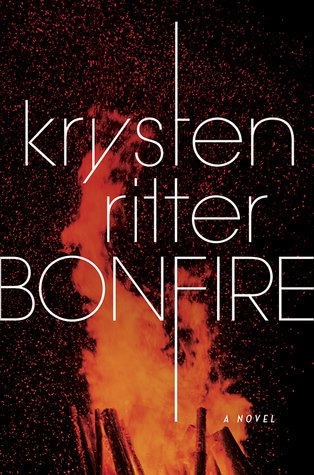 I enjoyed this book and found it to be a strong debut, but it didn’t blow me away. Abby was such a great main character, though. The scars of her past cloud her judgment, but she’s stubborn and determined to push past them anyways. There were plenty of times I didn’t like or agree with her actions, but I always felt I had enough insight into her motivations. Alosa. 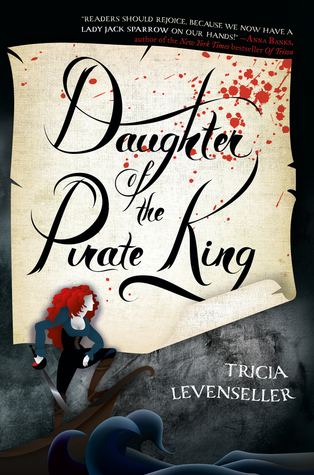 I actually adored this book, but I had my bones to pick with it. Alosa’s wit, tenacity, and resourcefulness were a blast to read, though, and I’m looking forward to more of her adventures in the second half of this duology! Zoe’s Daughter. 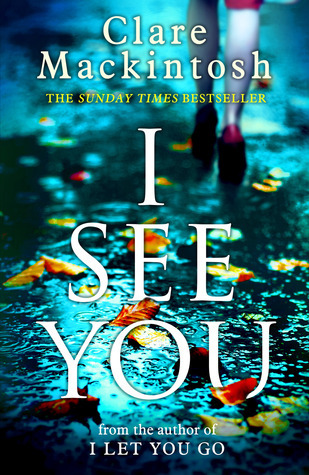 Clare Mackintosh’s writing is, for better or worse, always going to be compared against her first novel, I Let You Go. 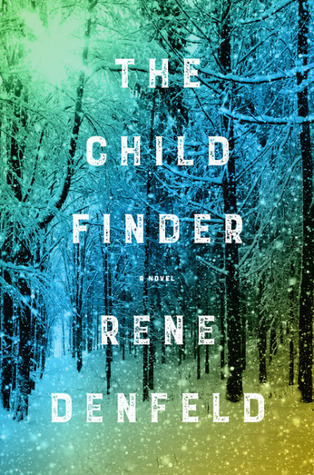 I definitely didn’t enjoy this one as much, but it was still a solid mystery. Zoe Walker wasn’t a character I cared much for, but I enjoyed getting to know her daughter … whose name I can’t remember, oops. I thought the focus on her theater ambitions was exciting, and I loved the way she stepped up at the end. Hope. This is such cheating, but Living with the Dead was one of my least favorite books in the Women of the Otherworld series by Kelley Armstrong. But one of the minor characters had been the main character in my favorite installment in the series: the half-demon Hope Adams from Personal Demon. Fun fact: I read the series out of order and started with Personal Demon, and it’s still my favorite. Madison. I’ve seen a lot of wonderful reviews for this book, and I wish I loved it as much as so many other people did! 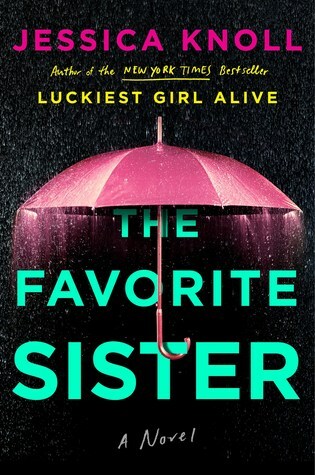 I just found it so hard to connect with Naomi and get immersed in her half of the narration. Madison’s chapters, though, were beautiful, heart-breaking, and haunting – a true testament to the strength of a child’s imagination and resilience. 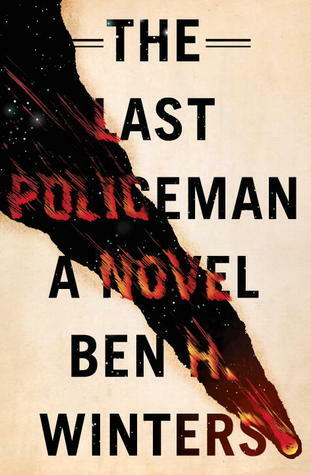 The first in a trilogy, The Last Policeman offers a mystery set on the brink of an apocalypse. As Palace’s investigation plays out under the shadow of 2011GV1, we’re confronted by hard questions way beyond “whodunit.” What basis does civilization rest upon? What is life worth? What would any of us do, what would we really do, if our days were numbered? Nico. I had high hopes for this series but ended up feeling only meh about it. The pre-apocalyptic United States is such an interesting setting for mysteries, though. I really enjoyed the main character’s sister, Nico, who truly believes there’s a way to prevent the apocalypse from happening and gets swept up in larger conspiracies and adventures attempting to quite literally save the world. Inspired by the true story of a woman who changed the way we understand our world. Nell. This was a confusing read for me, and I didn’t end up enjoying it as much as I thought I would, but the anthropological aspect was fascinating. The linguist in me was nodding along with Nell’s work, and I really enjoyed the way she interacted with the tribes and made an honest effort to become a part of their community. But who can Corinne trust, when she doesn’t even trust her own daughter? Corinne. 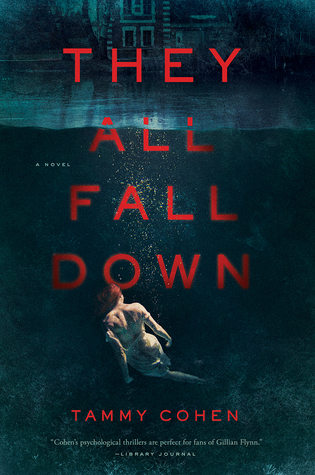 They All Fall Down was a decent read filled with unreliable narrators and a much-appreciated focus on mental illness. Of all the narrators, I liked Corinne best. How many mothers would go to such lengths to assuage their daughter’s concerns, even when that daughter is “safely” admitted to a mental institution? I loved her strength and determination. Were there any familiar reads on this list for you? Did other book bloggers struggle with this theme? I hope that just means we’re all enjoying the books we’re reading! Feel free to link your posts this week – I’d love to see all your picks. Check out That Artsy Reader Girl’s host post for even more inspiration! Great job!! I only got 5. This was really hard for me! I struggled! I was looking at my Goodreads ratings going, there was a character you must have liked in that book … right? I don’t know what made this prompt so hard! Haha!! I did the same! I think it’s because if we dislike a book, we put it out of our minds! 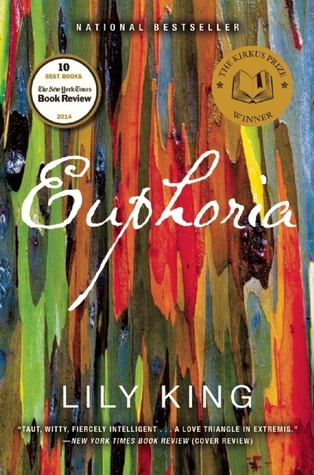 Agree with you on Euphoria. Not a favorite book but Nell was a good character. Today’s topic was really hard for me, so I flipped it 😀 Great job though! I hope you enjoy the ones you do read! Good call on flipping it! Great job! Euphoria! Lol… the purple p#n&s book! That was my take-away. The description of his member! I’d read a lot about Margaret Mead and others in college so the story wasn’t too surprising for me. But you really tackled the hardest topic ever very well! Hah, I don’t even remember that part! I can see how the story would read differently if you were familiar with the inspiring events. Thanks for stopping by! Great picks! Good job finding all of these; this was such a hard one! Like you, I tend to try to forget about books I really disliked and definitely don’t remember the characters either. Thanks! Yep – it’s no use dwelling on the less-than-stellar reads! The Perfectionists is new to, haven’t seen that before, but I love the premise. Might have to get that one! I remember being intrigued by The Last Policeman series too, but I haven’t read them yet. The Perfectionists duology is a quick and indulgent read if you do end up giving them a shot! The Last Policeman series are solid mysteries; I think I just had some different expectations of how I would have liked to see the pre-apocalyptic angle come into play. So glad to hear! She was so much fun to follow! Ooh, I adore Alosa! Honestly, I’m hoping she somehow makes it into Levenseller’s next books – I thought those were going to be about vikings? I’m simply not ready to say goodbye to her sass and badass attitude just yet, haha. Ooh, hadn’t heard about the Vikings! Now I’m intrigued 😉 But yes! I adore her spunkiness! Awesome to hear! I definitely thought both were strong and enjoyable reads, and Abby and Alosa are great characters! Hope you’re able to give them a shot and enjoy them!